The Wilson Matrix BLX (WRT817400) badminton racket is a new control racket for players looking for great combination of versatility and feel. The Wilson Matrix BLX (WRT817400) weighs approximately 85 grams (4U), has medium stiff shaft, and has a balance of 29.3cm for an all around toward offensive game. 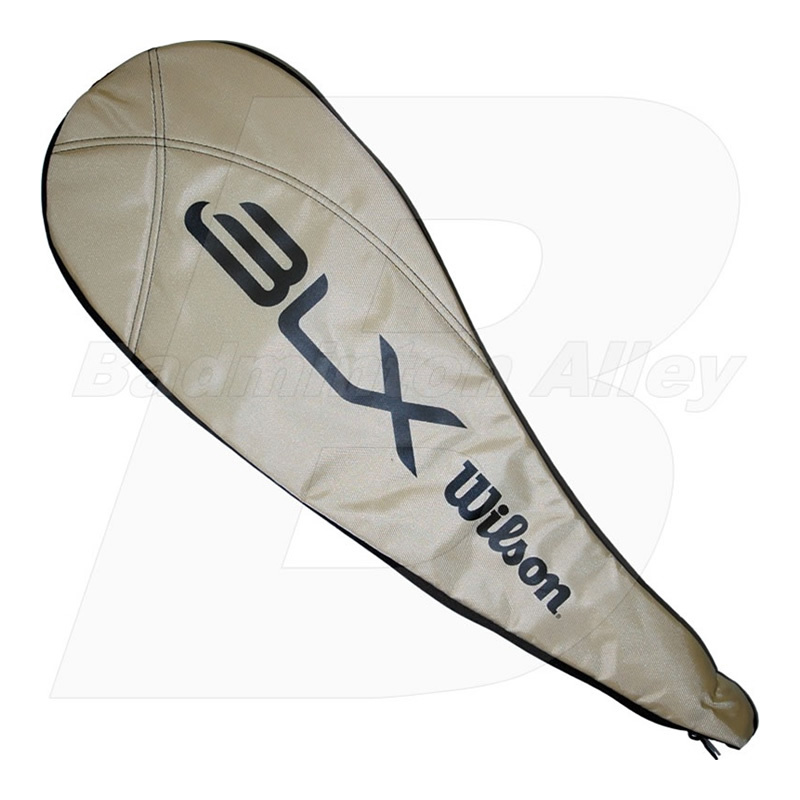 This racket is one of our customer's favorite offering excellent feel, control and power. String: Pre-Strung by the manufacturer. String upgrade available. Picked this racket up about a month and a half ago. Took some getting used to versus my n1, but I am very happy with it. Strung at 24 pounds, it clears easily while still providing me with control at the net. Not as much smash power as the n1, but I bought this one for doubles. It is a great middle ground between an ultra-maneuverable racket and a power racket. i bought this when it was on sale 2 months ago. i tried it and really loved it. but by the time i liked it, the price went up. i have been waiting for it to go on sale again to buy a spare in case of -- you know-- accident such as clashes. guess today is my lucky day. 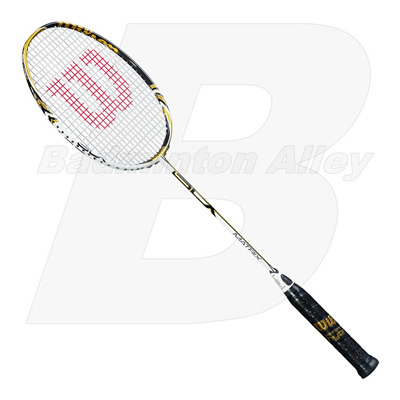 did my check on badminton alley website (my daily routine) and found it on sale. now i have a spare. thk you. Never thought that this Wilson $90 racket can be so good. Bought it for my brother but he likes my racket, ArcSaber 5. So I have to use this racket. I strung it with BG80 at 24 lbs and this racket just explode. My smash can be heard throughout the gym with this racket. I strung my Arc 5 the same way and I couldn't get even 3/4 the power of this racket. This BLX Matrix is really powerful. Control is also very good. No problem on my defense. Somehow everything just feels good with this racket.